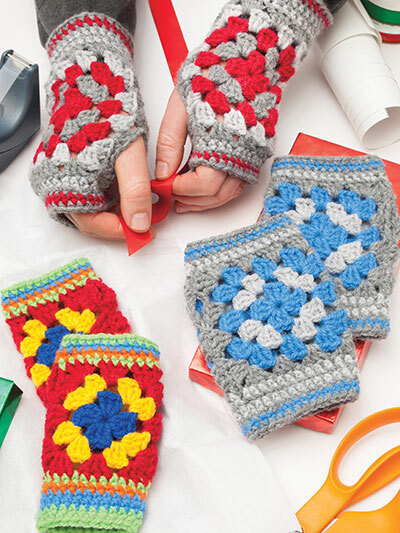 What could be better than combining gift-giving with the traditional granny square motif? 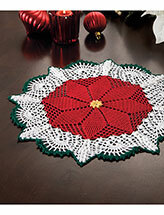 Crochet a jolly design that will make gift-giving a treat for the maker and those who get to enjoy the results. 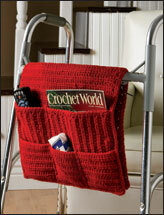 Crochet with worsted-weight yarn using U.S. size H/8/5mm hook. 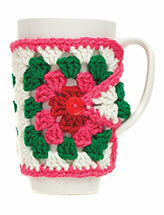 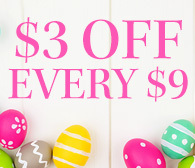 Size: Small: 3 1/4" W x 5 1/2" L; Medium: 4" W x 6" L; Large: 5" W x 7" L.